With its extravagant buildings and masses of multimillionaires, Dubai can certainly not be accused of being understated. 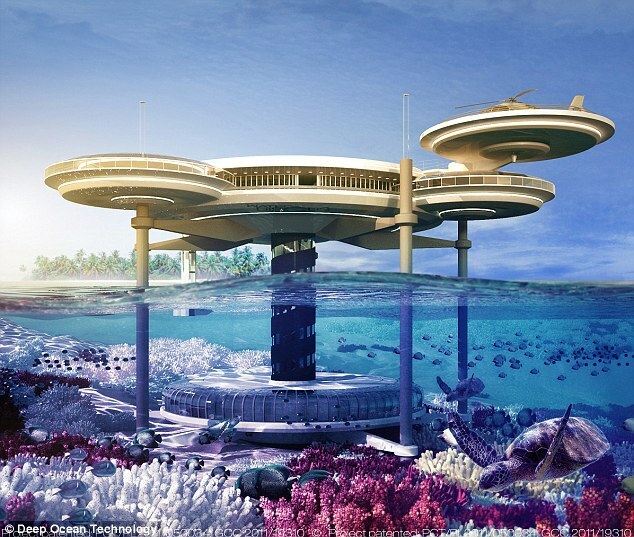 But the United Arab Emirates state could soon have an addition to its array of opulent dwellings, with the introduction of the world’s largest underwater hotel. 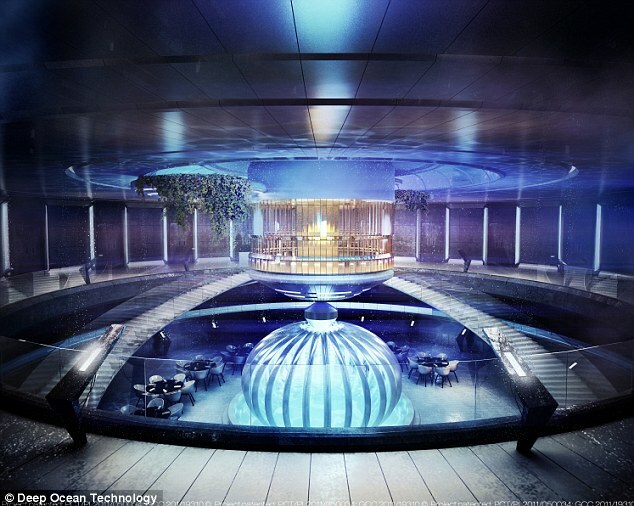 Already featuring some of the world’s most extravagant resorts, the Water Discus hotel will allow guests to enjoy the high life at a subterranean level. 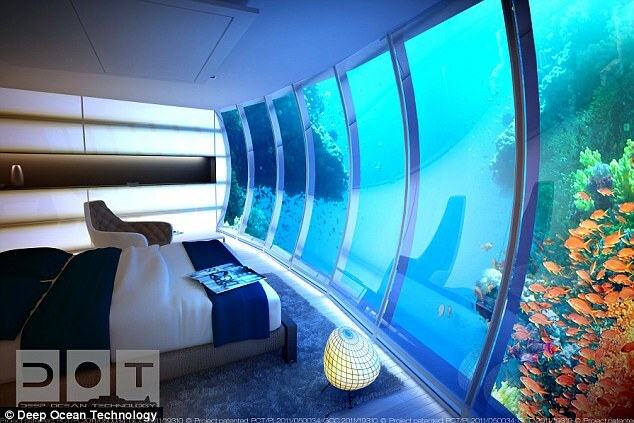 The hotel is the brainchild of Polish company Deep Ocean Technology, assisted by Swiss firm BIG InvestConsult AG. 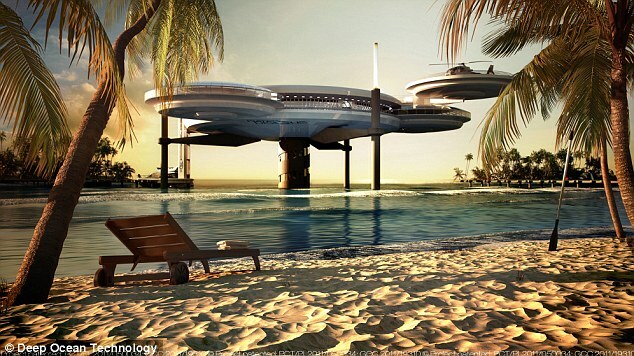 The bizarrely shaped building, looking more akin to something you would travel to space in rather than go for a luxury break, comprises two large disc-shaped sections, connected by a long narrow shaft containing stairs and a lift. Five legs will separate to two main components, one of which is located underwater, when it is built. 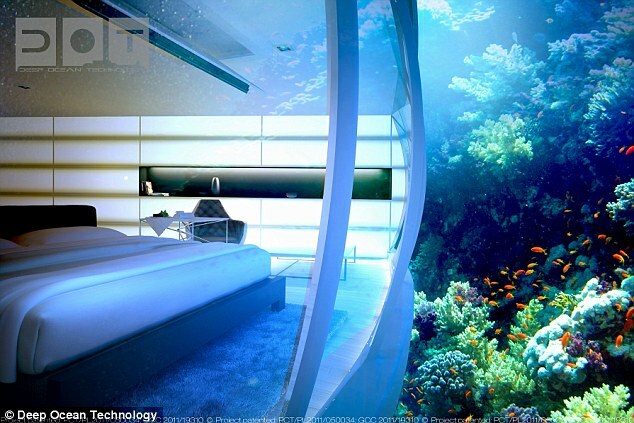 Guests will be able to stay in the hotel’s 21 rooms, designed to ‘integrate with the underwater world as closely as possible’. 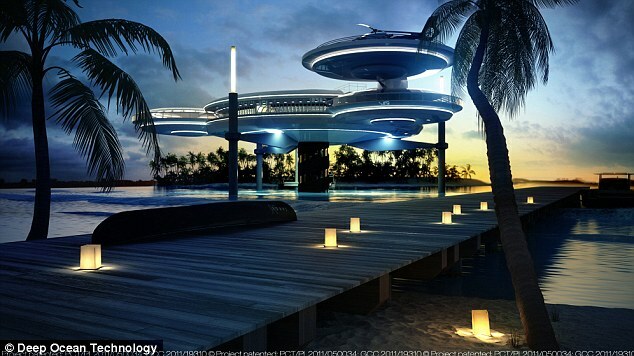 Those willing to delve below the surface will also be greeted by a dive center and an underwater bar. The project has also been backed by Swiss company BIG InvestConsult AG. 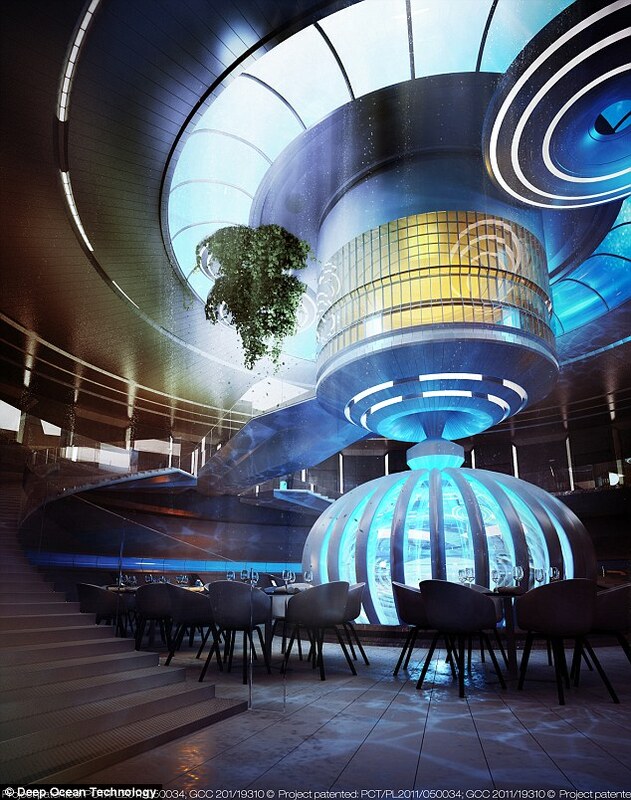 Incredibly, the hotel designers say that its modular design means it is transferable and can be moved in case of environmental or economic concerns. 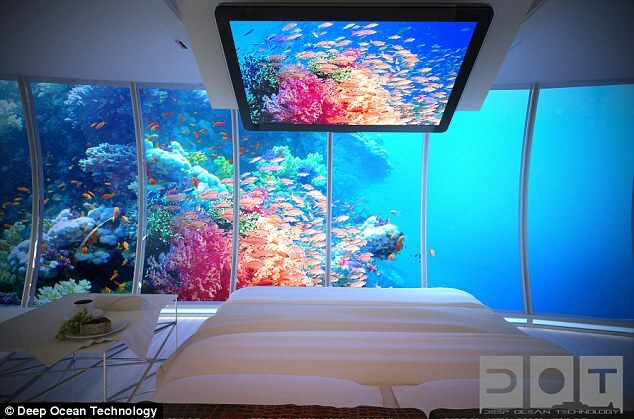 The upper pods are also buoyant and detachable from the main building, doubling as lifeboats, if the hotel is struck by a natural disaster. 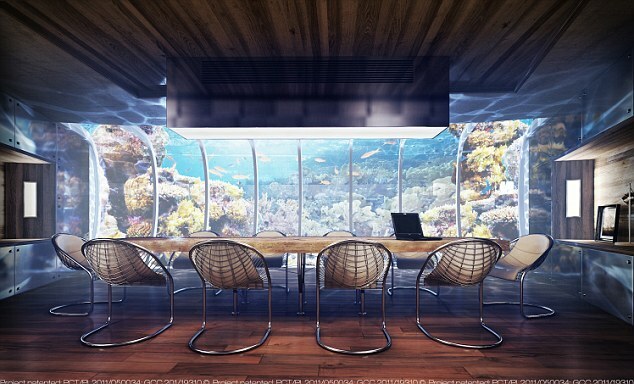 The Water Discus is not the first hotel to venture underwater – the three-room Jules Undersea Lodge off Key Largo, Florida, features three underwater rooms, while the Maldives also has a number of underwater ventures. 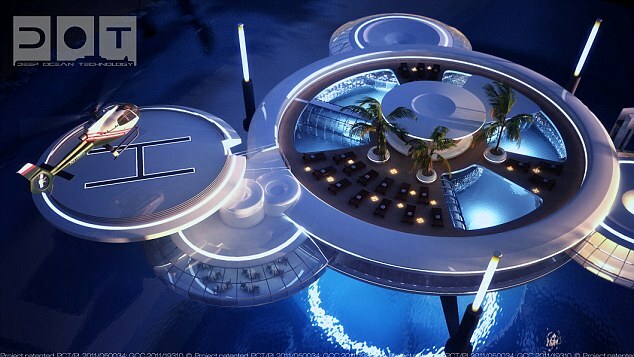 But the Dubai creation is certainly the most innovative. Bogdan Gutkowski, President of developer BIG, said: ‘Water Discus Hotel project opens many new fields of development for the hotel and tourism sector, housing and city sector in the coastal off-shore areas, as well as new opportunities for ecology support by creation of new underwater ecosystems and activities on underwater world protection.